SUZI ESZTERHAS is an award-winning wildlife photographer who is passionate about helping wildlife. The author of Moto and Me, the Baby Animals series, and the Wildlife Rescue series, her photographs have been published in over 100 magazine cover and feature stories in publications around the world, including National Geographic Kids, Ranger Rick, and TIME. When not in the field, she lives in Petaluma, California. 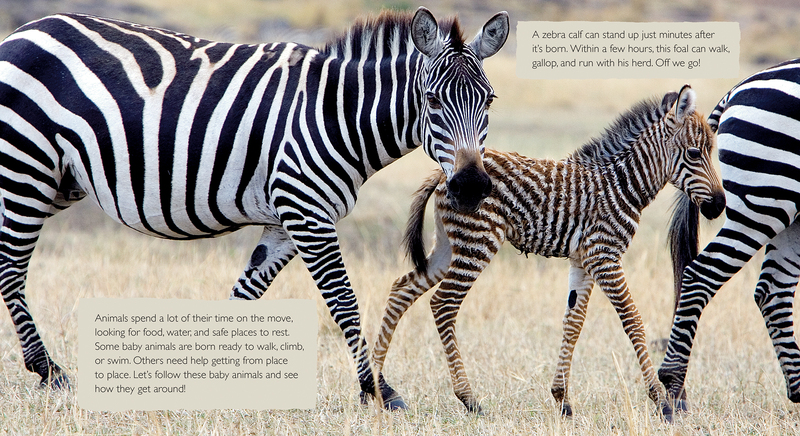 Around the world, baby animals move in different ways. Whether it’s egret chicks practicing flapping their wings, zebra calves learning to run just a few hours after they’re born, or baby orangutans hanging onto their moms as they swing through the jungle, baby animals on the go are not only adorable—they can teach us about animal behavior, too. The second book in the Baby Animals series, it showcases twelve species from around the globe, each moving in different ways. 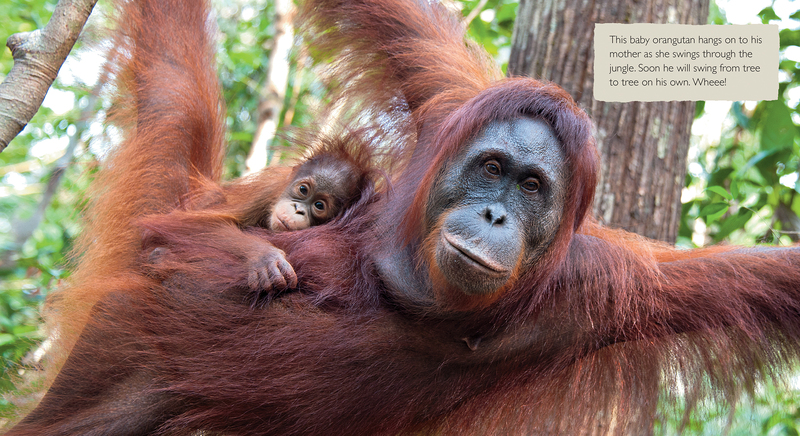 Stunning photographs by award-winning wildlife photographer Suzi Eszterhas are paired with brief informational text. 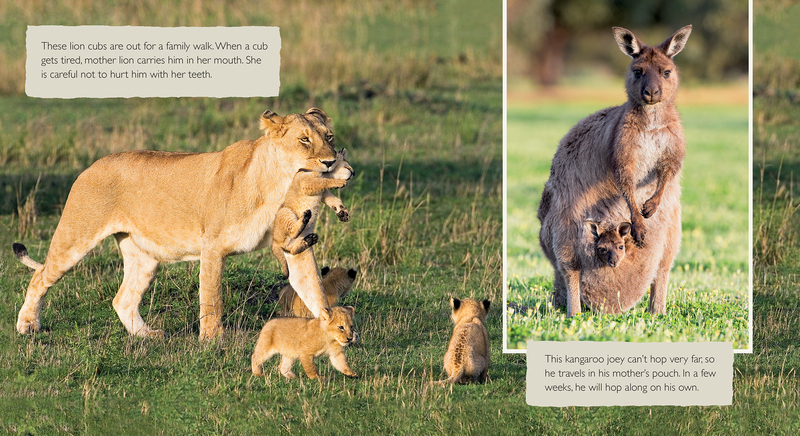 Designed both to be read aloud or explored independently, this book reinforces how baby animals learn valuable life skills that will help them survive on their own in the wild. Back matter gives further information about Suzi and her wildlife photography work.